Classic pick-ups fall into two basic categories: those that are so rare that they are prized because of their scarcity, and those that were so numerous that everyone has a favorite memory associated with one. Whether you’re a fan of the “endangered species” pickup or the “old familiar” pickup, we can all agree that certain pick-ups should be brought back to market post-haste. 1. The F-100. 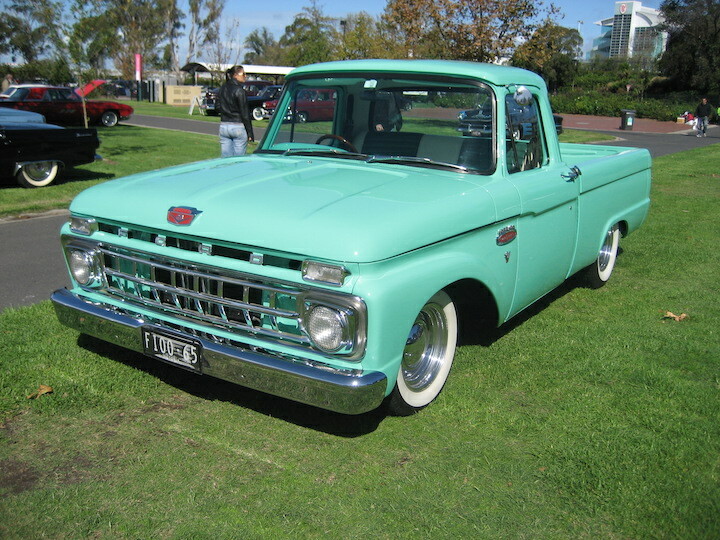 Ford has a long history of producing popular trucks. To many, the mid fifties Ford F-100 (1953 – 1956) stands out as THE classic pick-up. Its bold grill, domed hood and integrated front fenders are elements of an unmistakable style that gracefully transitioned from the antique to the modern. 2. The Ranchero, El Camino, and/or Sprint. Beginning in 1957, Ford offered the fascinating Ranchero. Perhaps best described as the automotive equivalent of a mullet, it is a sedan up front and a truck in back. Built on a variety of standard Ford passenger car chassis throughout the years, and offered in an array of trim levels, the Ranchero has always had a strong following. Rivalry being what it is, General Motors offered competition in this niche with both the Chevrolet El Camino (1959-1987) and the GMC Sprint. Considering the features of a car-based truck (great ride and handling, decent gas mileage), it’s a wonder that automakers no longer offer these “mullet” vehicles. 3. The Power Wagon. Military vehicles of WWII spawned the brawny Dodge Power Wagon. 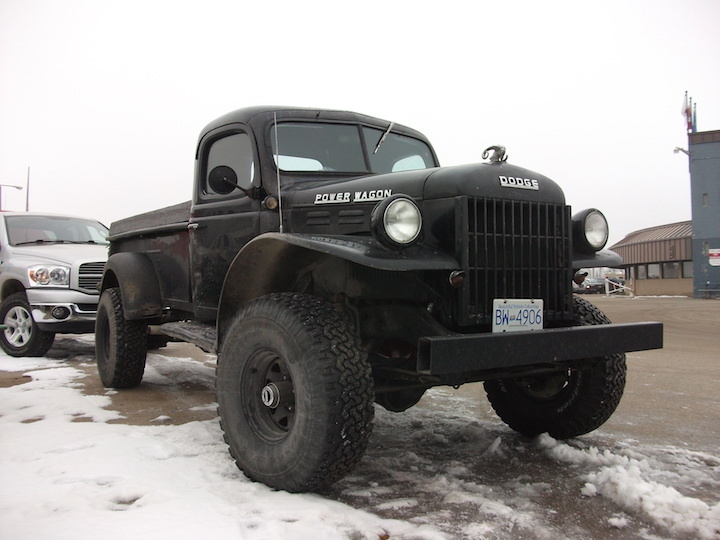 First offered in 1945, it has always characterized the soul of 4×4 utility. While changing style through the years (last offered in 1980), it is the early versions with broad flat fenders, upright grill, and tall stance that made the model a legend. While you can build a paper version of the classic, and a company called Icon 4×4 offers restored Power Wagons with modern amenities, we’d love to see a modern version of this classic truck at the local dealership. 4. The GMC Syclone. 1991 was an exciting year: Gretzky scored his 700th goal, the USSR was dissolved, and GMC made what might be the coolest compact truck. Ever. 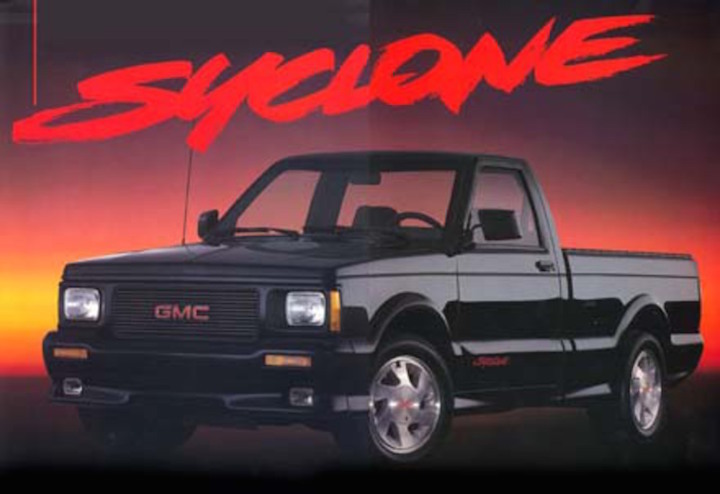 While the Syclone looked like a mild-mannered mid-size pickup, a terrifying sport truck lingered under the sheet metal. Sporting a turbo-charged 4.3L V6 and pushing 280 horsepower, the Syclone ran a quarter mile in 13.6 seconds…and did so at a price that compared quite favorably to dedicated sports cars. If only today’s truck manufacturers would offer a high performance pickup truck in an affordable (and efficient) mid-size package. 5. The Datsun 620. 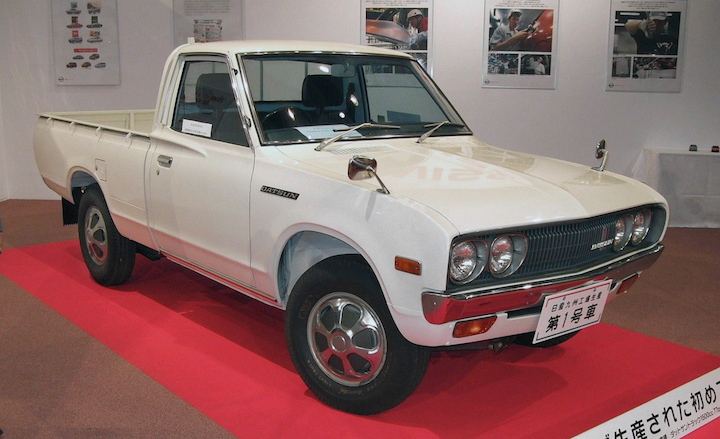 In 1972 Datsun offered the 620, a compact pick-up that was cheap, stylish and reliable. The 620 helped to create the compact pick-up market, and truth be told today’s full-size truck market owes the compact trucks of the 70’s a debt of gratitude. After all, if it weren’t for the fun yet practical trucks of the 70’s, full-size trucks might not be so popular today with Baby Boomers. So popular is the 620 that although last produced in 1979, a Hot Wheels toy replica was just released this year.